At the Fairfax County Animal Shelter, a black or orange cat (or a mixture of both) is waiting for you. The shelter — which has reached maximum cat capacity — says adoption fees will be half off for all “Halloween-colored” cats (including all cats with even a speck of orange or black) through Saturday, Oct. 31. Cat adoption fees usually run $50-175, depending on age of the cat. On Saturday, visitors will pull a rubber duckie out of the pool to see what their adoption fee discount will be on any other shelter animals. The discount will be a minimum of 50 percent, but pull the right duckie and your adoption fee could be waived entirely. 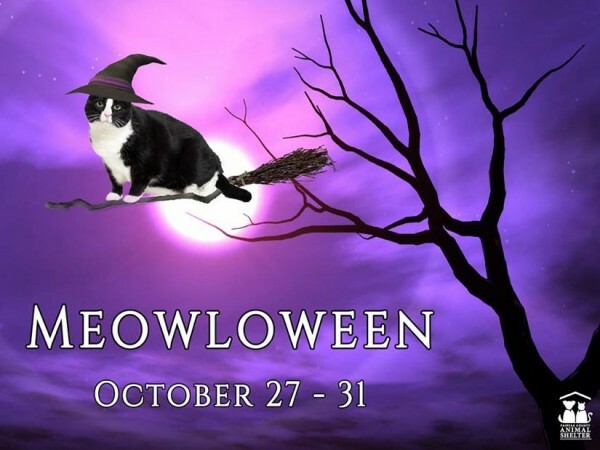 Also on Saturday, kids (and adults) can decorate a felt ghost to take home or hang at the shelter, and kids in costume can pull a treat from the prize bucket. For more information, call 703-830-1100 or visit the shelter online.